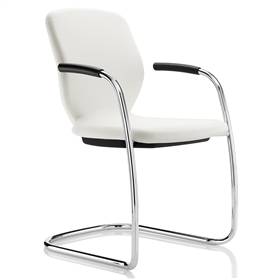 The Lily from Boss is a high back task chair with synchronous movement mechanism for greater comfort throughout the working day. A choice of two back shells either upholstered or contrasting black moulded plastic are offered. 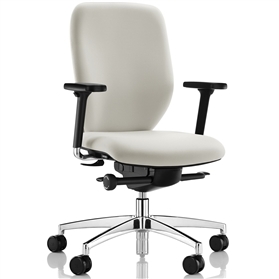 The backrest is height adjustable and there is a seat depth adjustment option for taller users.